FORMER navy ship ex-HMAS Tobruk is one step closer to reaching its final resting place with a scuttling date announced. 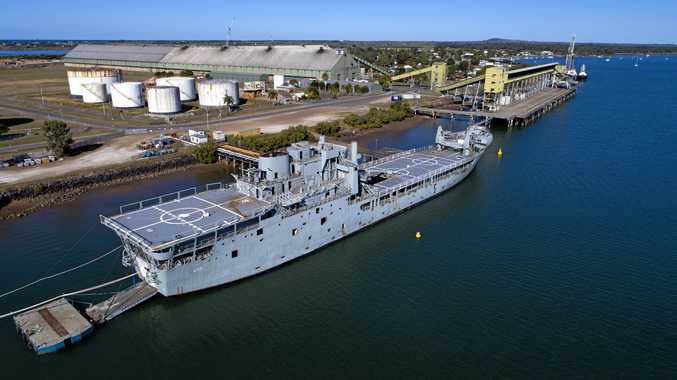 Ex-HMAS Tobruk will be towed out of the Bundaberg Port on Thursday, with scuttling to take place on Friday. The timing of the tow-out is yet to be confirmed, and the scuttling, subject to weather conditions, is expected to take place about 10am on Friday, depending on wildlife sightings. A 500m exclusion zone surrounding the ship will be enforced, with drones not permitted. Commercial vessels attending the event will leave from both Bundaberg and Hervey Bay. The scuttling process will take about one hour to fill and just three minutes to sink, and those unable to attend the event can tune in to marine VHF channel 68 for updates of the scuttling. The former scuttling of ex-HMAS Tobruk was planned for Tuesday, June 19 but was cancelled due to unfavourable weather conditions.